A mixer grinder is an essential aspect of any modern kitchen. From making purees and sauces to grinding spices and even chopping vegetables, the broad application range of a mixer grinder makes it such a valuable home appliance. If you are in the market for one, you will find that there are so many makes and models to choose from. 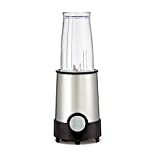 The different offers can be overwhelming or even confusing, but to ease the stress, we present the top 10 best mixer grinders reviews, in the hope that it will help you to make a better purchase decision. 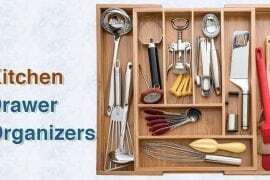 Factors to consider when buying a Mixer Grinder for your kitchen? Now that you know what to look for in a Mixer Grinder, it’s time for us to reveal our picks for the 10 best that you can consider buying. The Oster simple blend 100 is a 700-watt machine with everything you need to get blending and grinding at home. It blends with 450 watts but also has the 700-watt power option. There 10 speeds and a pulse function. 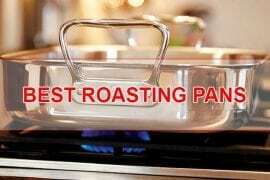 The blades are made of stainless steel, while the 6-cup jar and the extra Blend-and-Go cup are made from BPA-free plastic. Oster guarantees this mixer grinder for 3 years, and also offers a 10-year warranty for its All-Metal Drive system. 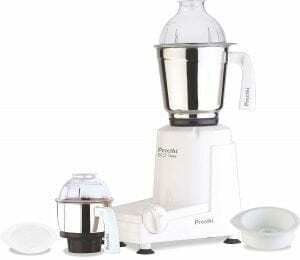 Preethi Eco twin-jar mixer grinder comes with twin stainless steel jars for more convenience. The 1.5-liter jar features a detachable blade and can be converted into a 1-liter storage jar with its flexi lid. The smaller 0.5-liter jar features a fixed blade and also converts into a 0.3-liter storage jar with flexi lid. Preethi is an Indian brand, and it backs this device with a 12-month warranty. 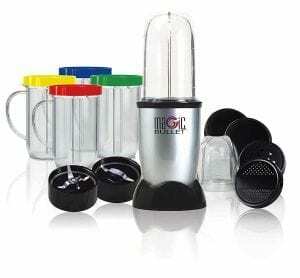 This Magic Bullet mixer grinder is a versatile gadget which takes up very little kitchen countertop space. 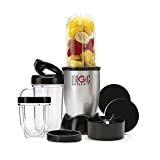 The package is a full 17-piece set and includes the stainless steel power base, 2 stainless steel blades, a tall and a short cup, 4 mugs, shaker tops, and a recipe book. All the mugs and cups are microwave and freezer safe. Using this MBR1701 is easy, just load any of the six cups, twist any of the 2 blades onto the cup, press it down on the power base, and that’s it. 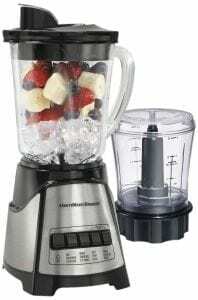 Whether you love healthy smoothies, shakes or grinding coffee, MaxiMatic’s EPB-1800 has everything you need. 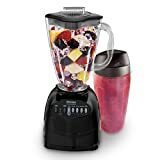 It comes with six dishwasher safe and BPA-free cups, one of which is short, for grinding, and the other tall, for mixing. There are 2 blades as well, one for dry items and the other for moist processing. The motor base is compact and includes a pulse button. To use this mixer grinder, simply fill any cup with ingredients, twist a blade unto it, attach to the base, and press the pulse button. Packed with 1,200 Watts of power, this mixer grinder is both highly efficient and versatile. It is designed for those who know what they want. 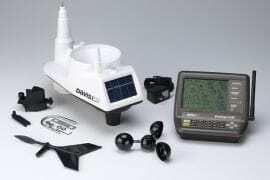 The package includes the power base, with pre-programmed buttons for easily making different items. 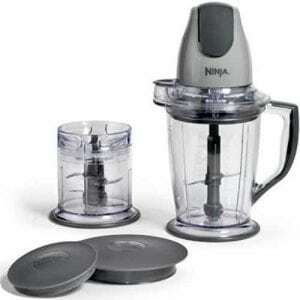 There is an extra 5-cup food processor attachment, as well as a slicing disk and chopping blade. Oster also includes a 24 oz. smoothie cup for your pleasure, and a 10-year warranty for the All-Metal Drive. This 12-piece mixer grinder from Bella comes with 2 stainless steel blades, one for grinding and the other for blending. Its parts are made from BPA-free materials, and its compact design is space-saving. 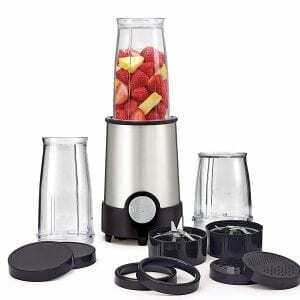 Bella Rocket Mixer Grinder includes 2 tall and one short blending cup, 2 lip rings, 2 lids, shaker lids and a user manual with recipes. 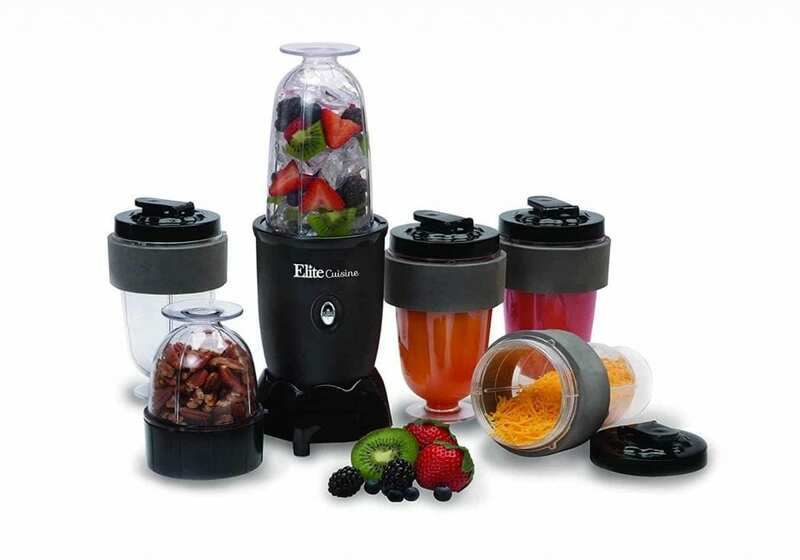 You can quickly make smoothies, sauces or simply grind spices with this Bella. 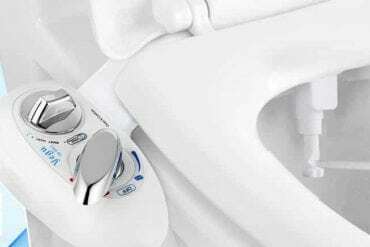 It is additionally backed by a 1-year warranty. 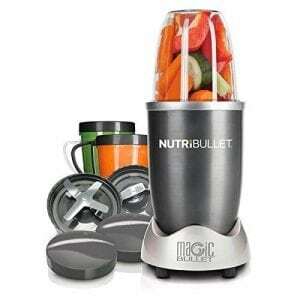 Magic Bullet’s MBR-1101 comes with just 1 blade, but it will chop, blend, mix, whip and grind whatever you desire. The package includes the high-powered base, 1 blade, 1 short and 1 tall cup, a party mug, lids for the cups, and a recipes book. The operation is simple since there are no buttons involved. Simply load up a cup and cover it with the blade, attach to the power base and then press down. 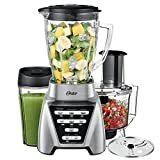 Featuring 12 blending functions to choose from, and a separate 3-cup chopping bowl, this Hamilton Beach machine is driven by 700 Watts of electric power. 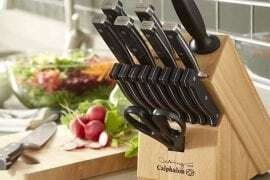 There are 2 speeds, a pulse function, stainless steel blades, and a 40 oz. BPA-free glass jar. The 2 jars and their blades are dishwasher safe, and the power base has enough space to tuck away the power cable after use safely. It is backed by a 3-year limited warranty. 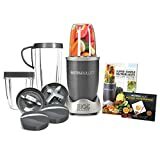 With its modern and sleek design, Magic Bullet’s NutriBullet comes with a powerful 600-Watt motor, which delivers enough power to quickly and effortlessly process whatever you load into it. This blender will fit so perfectly into any modern kitchen countertop. It also features a unique and patented blade design, which can crack seeds open, shred tough skins and crack through stems. 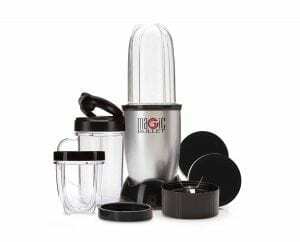 All its plastic materials are BPA-free and dishwasher safe, and Magic Bullet backs it up with a 1-year limited warranty. The Ninja Master is for everyone who wants a fast, portable, affordable and sturdy blender in the kitchen. 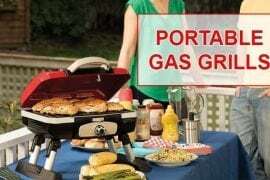 It is powered by a 400-Watt motor and comes with a 48 oz. pitcher and a 16 oz. chopper bowl. It will mince, chop, dice, puree and blend your foods almost effortlessly. The included storage lids serve to preserve freshness once you are done. The jars feature no-slip bases, an easy flip pour spout, and an anti-spill splash guard. Moreover, this mixer grinder is quite affordable. Basic Purpose: Your chief aim of buying the mixer grinder is important since some makes offer extra accessories. By knowing what you want, you will know if the additional offers are worth it for you. Power: If you need to perform heavy-duty tasks, then you need a system with high power delivery. Having a high-powered device allows you to either process food items faster, or to better process thicker or tougher items. Most mixer grinders have an electric motor with a power output of around 450 watts. This is usually enough for most domestics tasks, although commercial grade equipment will require about 1,000 watts of power or more. Control: The most common type of controls found on mixer grinders are power, speed, and pulse buttons. Some devices might have just one fixed speed, in which case they will only have a power button or switch, while other devices will provide you with more controls, like pulsing and speed selection. Safety Features: A good mixer grinder should offer a few safety features. An overload protection, for example, is necessary to prevent the motor from burning out. 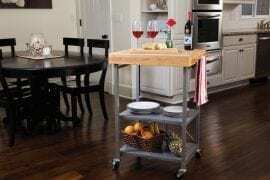 A locking system ensures that the device is properly locked and secured before it can be switched on, while suction feet prevent it from dancing across the kitchen table while working. Ease of Maintenance: It should be easy to wash and keep clean, as well as to store. Warranty: A good kitchen gadget should be sturdy and durable. To guarantee these qualities, the manufacturer should offer a reasonable warranty along with the device. For mixer grinders, a warranty period of 1 to 3 years is usually the norm. We have come to the end of our 2019 best mixer grinders list, and the final choice is now up to you. You could go for our number one recommendation and save some money, or you could spend a little extra on the NutriBullet, the choice is yours.